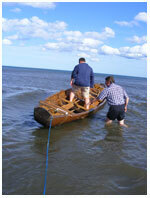 The finding of the Ferriby Boats raised many questions. 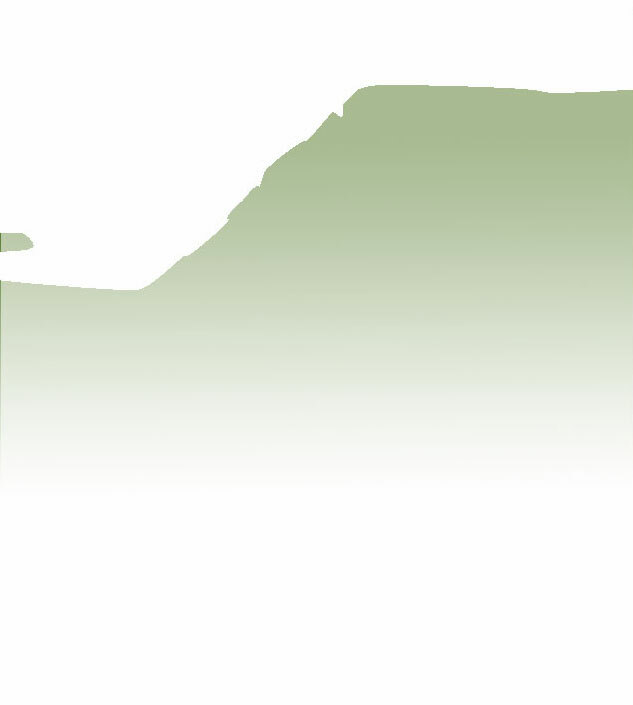 What were they built to carry? Where did they sail? How were they powered? 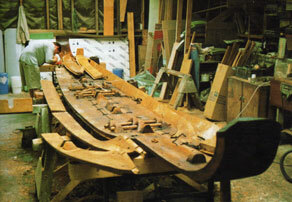 To help answer these questions naval architects Edwin Gifford and John Coats joined forces and with the help of Ted Wrightís research embarked on building a half scale replica. 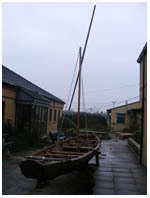 In the summer of 2004 the replica successfully completed her first sea trials on the Solent. 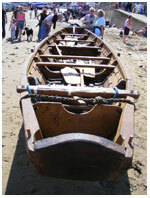 The results give a tantalising glimpse as to how the boat could have been used. Oakleaf became an international celebrity after featuring in the BBC's widely-acclaimed 'Coast' documentary series, this has helped to raise the profile of not just the replica but also the origional finds. 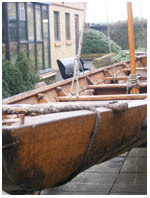 With the help of The John Good Shipping Group and Andrew Marr International, Ferriby Heritage Trust secured the replica boat and brought her back to North Ferriby to help raise the public awarness of their local heritage. 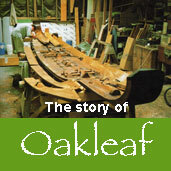 Oakleaf arrived in North Ferriby on the 16th February 2008. 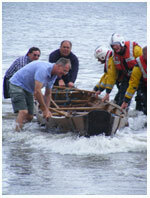 Middle: Members of Filey Lifeboat crew help launch Oakleaf. April 2010. Visit to Wilberforce 6th Form College in Hull. 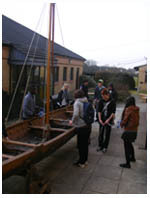 Design students research construction techniques of the Bronze Age. 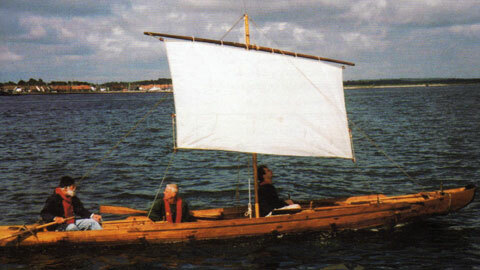 Oakleaf is shown fully rigged. 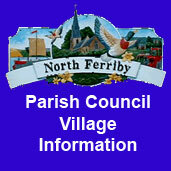 2013, Ferriby Heritage Trust Ltd. Charity No. 1062087 The Trust is not responsible for the content of external sites.